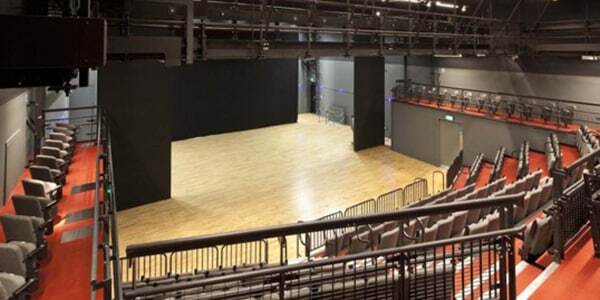 Opening in 2011, the Platform Theatre is a purpose-built venue comprising of four performance spaces. While it does host productions from professional companies and festivals (such as the London International Mime Festival, LIFT, and Dance Umbrella), its main output is public performances from students at Drama Centre London and Performance Design & Practice. Instead of simply hiring out the space, the theatre places emphasis on collaborative strategies, with professional companies working with students to help develop their projects. With this strategy, and a state-of-the-art complex (the largest development in Central London for over 150 years), the Platform hopes to be a creative hub, providing valuable student resources and a springboard into the professional world.